Mozart married Constanze Weber in 1782, and it is thanks to her diligent curation of ‘these marvellous relics’ that we have these rarely heard fragments, including fugues which reveal the influence of Bach and demonstrate Mozart’s agility with sophisticated contrapuntal techniques. The more substantial Rondos have gained popularity with their memorable themes and musical depth, while forays into Baroque style can be heard in the unfinished Suite. These, the improvisational Fantasias and a mocking parody of a Funeral March all highlight neglected facets of Mozart’s oeuvre. 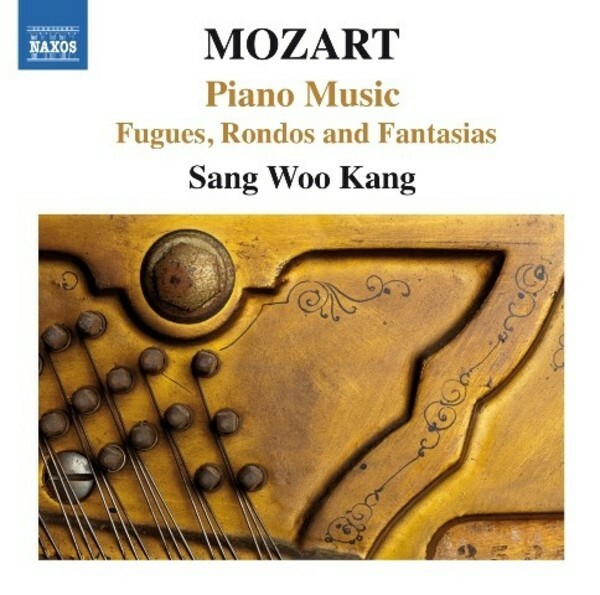 This recording of Mozart’s fugues, rondos and other smaller piano works joins our various editions and collections of Mozart’s complete works with piano. With its rich variety of rarely recorded or performed fragments as well as more substantial completed repertoire, this is a valuable resource for pianists, scholars and general listeners alike. Pianist Sang Woo Kang is well known internationally as a recitalist and educator, and is director of the Piano Institute and Seminar at the Atlantic Music Festival and Associate Professor and Chair of the Department of Music at Providence College.